Scaffold Logistics provides exemplary commercial and industrial scaffolding services for a diverse range of sectors, including commercial, industrial and resources. Scaffold Logistics supplies products and services to Australia’s largest oil and gas companies. This includes the best equipment and onsite capabilities. We continually improve our processes by scrutinising our operating procedures and identifying new hazards, specific to each industry sector. Our culture focuses heavily on quality and safety. Both of these factors are fundamental when it comes to meeting customer project requirements in the hazardous environments imposed on the oil and gas industry. Our multi-disciplined teams work thoroughly to mitigate risks created by these conditions, to ensure the safety of our customers and employees. Scaffold Logistics’ vigorous approach to recruitment and training ensures our oil and gas clients the confidence that our resources will always meet the highly demanding nature of maintenance in the industry. Scaffold Logistics has extensive experience providing commercial scaffolding solutions for some of the largest construction projects undertaken in Melbourne, Sydney and across Australia. Our extensive in-house design, engineering, planning and onsite capabilities provide significant project management benefits to our commercial customers. 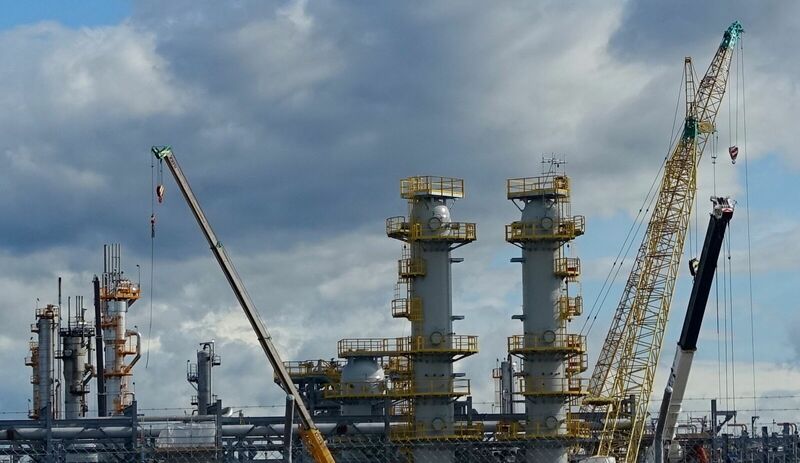 Scaffold Logistics’ technical and operations teams are highly experienced in developing challenging programs and delivering during highly demanding project situations. Estimating the cost of commercial scaffolding for a construction project can be problematic, but our cost planning qualifications remove this stress and provide clients with a rarely matched level of service. Scaffold Logistics offers extensive experience with heritage restoration projects, including churches and old government buildings. More aging buildings are being restored all the time and heritage works are in high demand. We understand special care must be taken to protect the natural beauty of these properties and not to distract from any surrounding beauty. We are dutiful and careful when assembling scaffold structures near heritage buildings. This assemblage is only carried out by our most experienced technicians in order to provide peace of mind. Most heritage sites are open to the public while restoration or construction work takes place. We do our best to make sure the building remains aesthetically pleasing. All of our heavy duty scaffold structures are highly tested to ensure the safety of working tradesmen. The stringent quality, safety and performance standards we impose on the people and products behind our industrial scaffolding services demonstrate our commitment to providing our clients nothing less than the very best. The way we do business is also independently audited regularly to ensure these standards are always upheld. Quality and safety are integral components of everything we do, from estimates to industrial scaffolding design, manufacture and supply. Scaffold Logistics’ procedures are certified to quality standard, AS/NZS ISO 9001 and safety standard, AS/NZS ISO 4801. Scaffold Logistics industrial and commercial scaffolding products are manufactured to Australian Standard AS1576. Like all reputable industrial scaffolding companies, we impose rigorous inspection and testing procedures on its equipment to ensure safety over time.